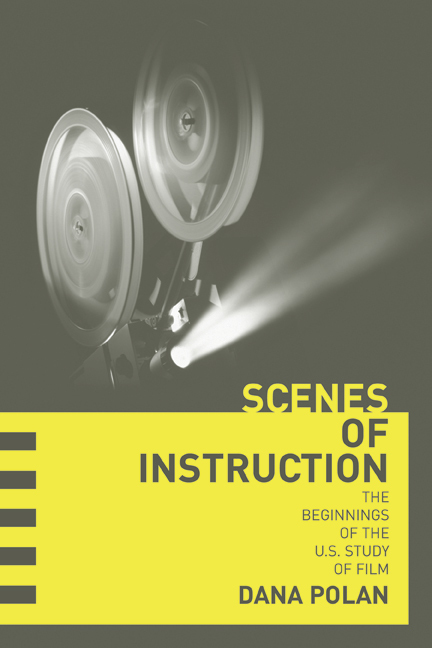 This engaging book chronicles the first classes on the art and industry of cinema and the colorful pioneers who taught, wrote, and advocated on behalf of the new art form. Using extensive archival research, Dana Polan looks at, for example, Columbia University’s early classes on Photoplay Composition; lectures at the New School for Social Research by famed movie historian Terry Ramsaye; the film industry’s sponsorship of a business course on film at Harvard; and attempts by the Academy of Motion Picture Arts and Sciences to create programs of professionalized education at the University of Southern California, Stanford, and elsewhere. Polan examines a wide range of thinkers who engaged with the new art of film, from Marxist Harry Alan Potamkin to sociologist Frederic Thrasher to Great Books advocates Mortimer Adler and Mark Van Doren. Dana Polan is Professor of Cinema Studies at the Tisch School of the Arts, New York University. Among his books are Jane Campion, Pulp Fiction, In a Lonely Place, and the forthcoming titles The Sopranos and The French Chef.